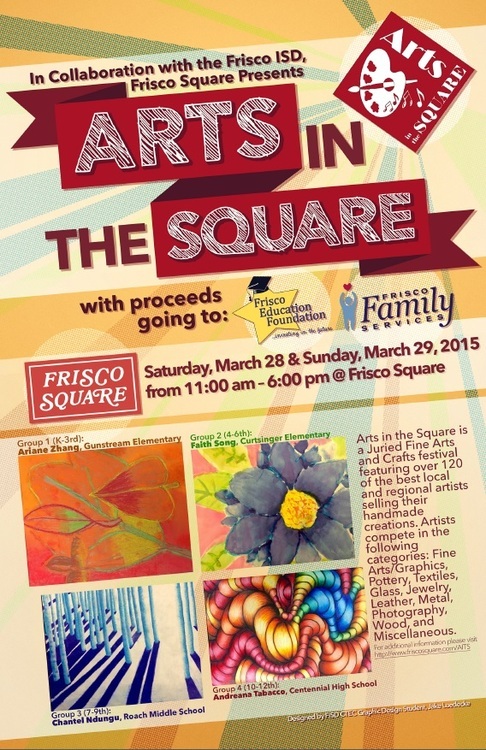 Spring has sprung in Frisco, which can only mean one thing: It’s time for Arts in the Square! 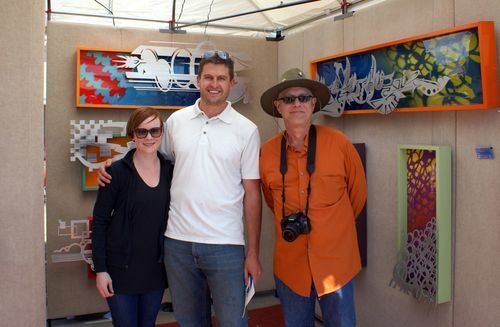 The 6th annual juried outdoor arts festival will take over Frisco Square March 28 – 29 with booth after booth of breath-taking artwork by 120+ top local and regional artists. Best of all, everything on display is for sale, so you can take home an original piece to deck out your space. The event will be brimming with so much art that even the Arts in the Square event poster is a piece of art! Local FISD CTEC graphic design students were tapped to design a poster layout for the 2015 event, and Jake Luedecke’s design was selected. The poster features winning works by Frisco ISD students in elementary, middle and high school. 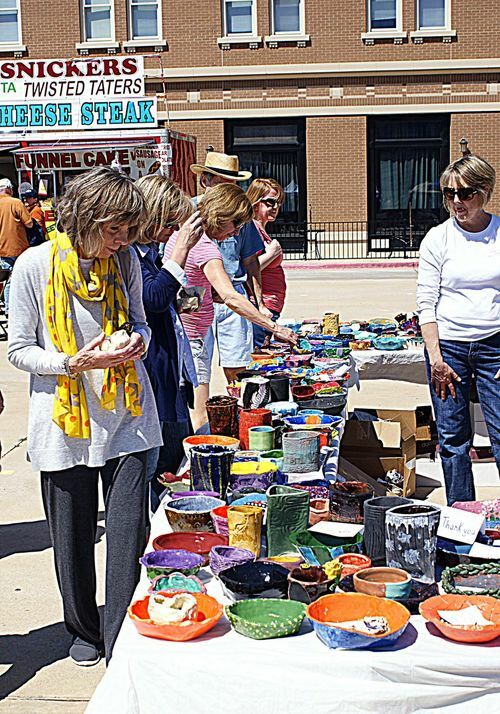 Live local music, performing arts presentations, a chalk walk, interactive art activities, and food vendors round out the Arts in the Square experience. Proceeds from the event go right back into the community, benefitting the Frisco Education Foundation and Frisco Family Services.